International Partnership for Human Rights (IPHR) has written to Kazakhstan’s Prosecutor General and Kazakhstan’s ambassador in Belgium about the case of torture victim Rasim Bayramov. In the letter, IPHR requests that a prompt, impartial and effective investigation is carried out into Rasim’s torture allegations and that those found responsible are brought to justice, as called for by the United Nations Committee against Torture, which found Rasim had been tortured when examining the case in 2014. On 18 May 2016, the Kostanay Regional Court ruled that a decision by the Prosecutor General’s Office to close the investigation into Rasim’s torture allegations was illegal. Rasim Bayramov reported being kicked, beat all over his body, and ill-treated in other ways after being detained on accusation of theft in 2008. He was forced to sign a confession and sentenced to five years in prison for a crime he maintained he did not commit. Tragically he died in February 2016 of complications resulting from an illness he contracted in prison. He was only 33 years old. I am writing to you on behalf of International Partnership for Human Rights (IPHR) regarding the case of Rasim Bayramov who was allegedly tortured by police officers in 2008 when arrested on suspicion of theft. On 17 July 2008, police officers of the city of Rudny in Kostanay region detained Rasim Bayramov and allegedly kicked and beat him all over his body, pushed him off a chair, dragged him along the corridor by his hair, and threatened him with sexual abuse if he did not confess to having stolen money and three bottles of beer from a local store. They deprived him of sleep at night and gave him nothing to eat or drink for over two days. Eventually, they reportedly forced him into signing a confession. At 26 years old, Rasim Bayramov was sentenced to 5 years in prison for a crime he maintained he did not commit. As you know, in February Rasim Bayramov tragically died of complications resulting from an illness he contracted in prison in 2008. He was 33 years old. In May 2014 the UN Human Rights Committee ruled that Rasim Bayramov’s treatment at the hands of police amounted to torture. The Committee advised that Rasim Bayramov should receive reparation and that an effective investigation be conducted into the allegations of torture in order to bring to justice those responsible. However, in August 2015 the Prosecutor General’s office closed the case for “lack of evidence of a crime“. In February 2016, after Bayramov’s death and following a complaint by his lawyer, the Kostanay Regional Prosecutor’s Office reopened the case and referred it for investigation to the Special Prosecutors’ Unit at the Prosecutor General’s Office, but on 24 March the Special Prosecutors Unit again ruled to close the case due to “lack of evidence of a crime“. Rasim’s lawyer lodged an appeal against the prosecutorial decision to close the criminal investigation into the allegations of torture which was upheld by Court No.2 Kostanay on 6 May 2016. 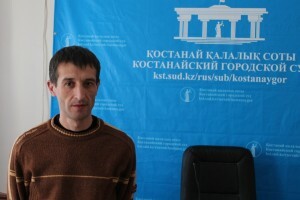 The Kostanay Regional Prosecutor’s office lodged a complaint against the decision but on 18 May Kostanay Regional Court ruled that the decision to close the case was illegal. We express our concern about the case of Rasim Bayramov who died in February 2016 of complications resulting from an illness he contracted in prison after an unfair trial marred by torture allegations. We urge the relevant authorities to demonstrate that they are serious in their intention to adopt a “zero tolerance” approach to reports of torture by conducting a prompt, impartial and effective investigation into the allegation of torture of Rasim Bayramov in 2008 and that those found responsible are brought to justice, as recommended in the May 2014 decision by the United Nations Committee against Torture. In order to avoid similar situations in the future, we also urge that a unified mechanism is established to implement all decisions that United Nations treaty bodies issue to Kazakhstan under their respective individual complaints procedures. For more information: see press release issued by the Kostanay branch of Kazakhstan International Bureau for Human Rights and Rule of Law in connection with a press conference held on 24 May 2016, as well as joint statement issued on this case in January 2015. Follow news on social media under the hashtags #СправедливостьДляРасима #JusticeForRasim #Расим үшін әділдік for updates on the case.